Theme Post! 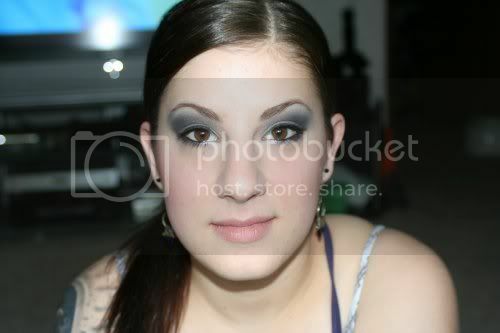 Several Makeup Tutorials: Muted smokey, Black Smokey, Blue, and Natural eyeshadow! Here are some makeup looks I've done on myself and other people. Seeing how the theme is makeup this month, I thought it would be nice to share how I went about creating them in case anyone wanted to incorporate it into an outfit! 1. Apply a base to help your eyeshadow stick and prevent creasing. 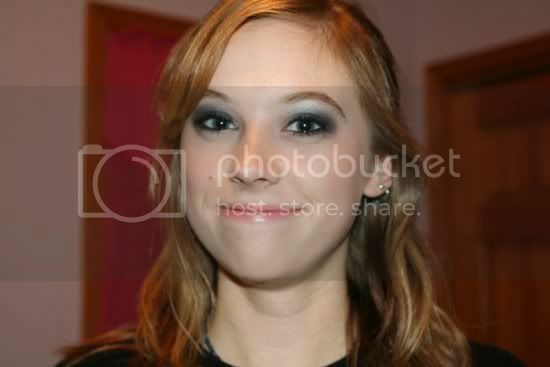 I used Urban Decay Eyeshadow Primer Potion, but you can use concealer or any other base that works for you. Apply it from the base of the lash line to just under the eyebrow, and just under the bottom lash line. 2. Use a medium fluffy eyeshadow brush to apply the white color (Gesso) to the inner portion of the eyelid and lightly blend it toward the center. 3. 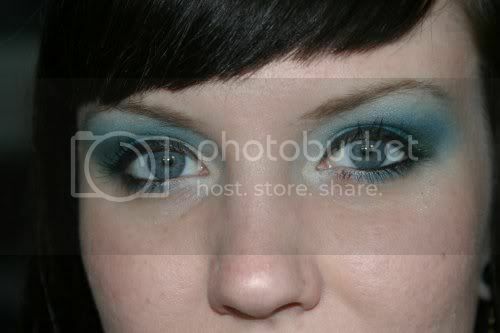 Using the same medium fluffy eyeshadow brush, apply your bright blue eyeshadow (Clarity) from the center of the lid all the way to the outer portion of the eyelid. 4. With a large fluffy brush, apply a light highlight color (Vanilla Pigment) to the area just under the brow bone and blend it down toward the blue eyeshadow. 5. Using a fluffy crease brush with a rounded tip, lightly apply your darker blue color (Freshwater) in the area just under the brow bone, making sure to blend it so that it is darker on the outer corner and gently fades as it goes toward the inner corner. 6. Use a small fluffy crease brush to apply the green color (Humid) to the crease, the area where your eyelid folds. Blend it up and into the blue (Freshwater) above it. 7. Finish up by lining your bottom lashline with the eyeshadows using a liner brush, starting with white (Gesso) in the inner corner, then blue (Clarity) in the center and green (Humid) on the outer corner. Line your top lashline and waterline and apply mascara. Done! 1. Apply a base to help your eyeshadow stick and prevent creasing. I used Urban Decay Eyeshadow Primer Potion, but you can use concealer or any other base that works for you. Apply from the base of the lash line to just under the eyebrow, and just under the botton lash line. 2. Using a medium fluffy eyeshadow brush, apply a light beige color (Mylar) to the inner corner of the eye. Blend slightly toward the center. 3. Also using a medium fluffy eyeshadow brush, apply a neutral greyish brown (Copperplate) from the center of the eyelid to the outer corner. 4. Apply your highlight color (Vanilla pigment) using a very fluffy brush from just under the eyebrow down toward the crease. 5. Using a rounded fluffy crease brush, apply a very dark purple (Beauty Marked) starting at the outer corner of the eye and blending it toward the inner corner and up toward the brow bone. 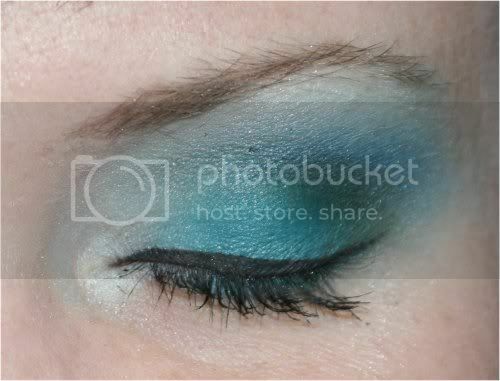 Be sure to create a gradient from the outer corner toward the inner corner. 6. Using a small crease brush, apply a small amount of black eyeshadow (Carbon) to the crease where your eyelid folds. 7. Finish up by using an eyeliner brush dipped in each eyeshadow and line your bottom lashline using Mylar in the inner corner, Copperplate in the center and Carbon on the outer corner. Line your top and bottom lash lines with black eyeliner and apply mascara. Done! 1. 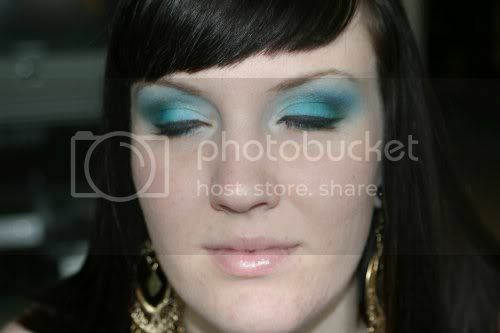 Apply an eyeshadow base as detailed in the above tutorials. 2. Using a medium fluffy eyeshadow brush, apply a light brown (Soft Brown) eyeshadow across your entire eyelid, stopping at the crease. 3. Using a very fluffy brush, apply your highlight color (Vanilla) from the bottom of the eyebrow down toward the crease. 4. Using a rounded crease brush, apply a dark brown eyeshadow (Brun) just under the brow bone and blend with the crease and highlight color. Start lightly and gradually add more shadow as needed to create a soft change in color. 5. Finish up by lining your eyes and applying mascara. Done! 1. Apply an eyeshadow base like previously detailed. 2. Using a medium eyeshadow brush, apply a silver eyeshadow (Electra) from the inner corner of the eyelid to the center, stopping just past the crease. 3.Apply your highlight color (Vanilla) under the eyebrow and down toward the crease using a very fluffy brush. 4. 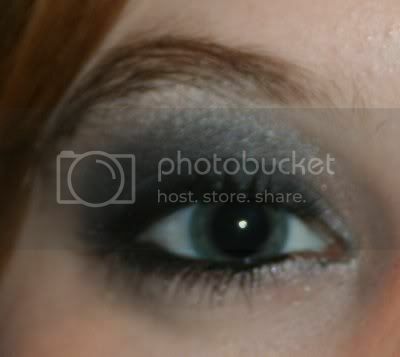 Use a rounded crease brush to blend a dark black eyeshadow from outer corner of the eye, in toward the center. 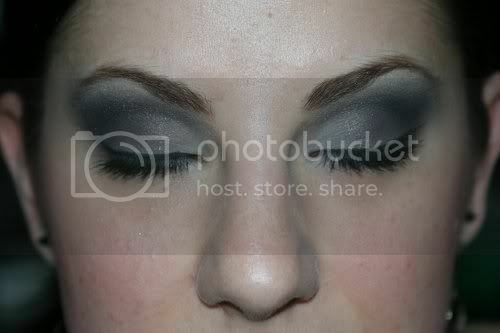 Blend the black and silver in the center of the eyelid to create a sparkly dark grey color. 5. 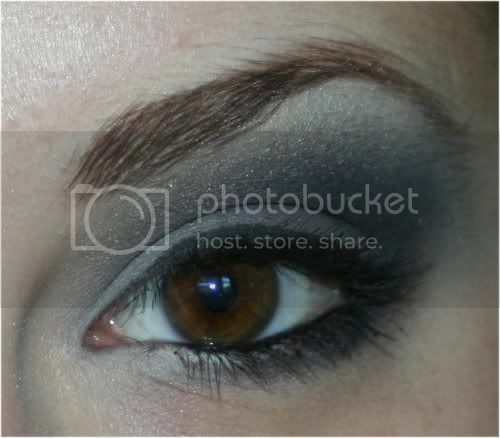 Continue to blend the black eyeshadow from the outer corner, and up across the brow bone. Gradually add more color as needed, always dragging the shadow from the outer corner toward the inner to make a nice gradient of color. 6. When you're satisfied, finish up by lining your eyes and applying mascara. Done! Thanks for reading! Feel free to ask any questions you may have.